In February 2017, Raye J. Montague, RPE was recognized on “Good Morning America” for her work as a pioneering scientist. She was not only the first woman to design a U.S. Naval ship using a computer, or the first African American to do so, she was the first PERSON to do so. She began a career in Washington, DC with the United States Navy in 1956 and retired in 1990 after serving in numerous leadership roles during her tenure of thirty-three and one-half years. Her work designing the FFG-7 Class in the early 1970s revolutionized naval ship design. She also served as the first female Program Manager of Ships in the US Navy and was the first female professional engineer to receive the Society of Manufacturing Engineers Achievement Award. Throughout her career she received many honors, and was often the first woman of any race to achieve statuses in the engineering profession. In 2006, she returned to Arkansas. She is involved with numerous civic activities including mentoring students in the sciences at UA Little Rock and also eStem Public Charter School. She was inducted into the Arkansas Black Hall of Fame in 2013. Dr. Montague died in October 2018. She will posthumously receive the Fribourgh Award from UA Little Rock later in 2019. In her honor, Mayor Frank Scott Jr. declared today (March 28, 2019) as Dr. Raye Jean Montague Day. Dr. Sybil Jordan Hampton made history as the first African American student to attend each high school year at and graduate from Little Rock Central High School. But her impact on history exceeds that and extends into classrooms throughout Arkansas. After a career which took her from elementary classrooms to corporate boardrooms, Dr. Hampton returned to Little Rock in 1996 to become the President of the Winthrop Rockefeller Foundation. In that capacity, she oversaw many opportunities to broaden the ways the arts and humanities were used in classrooms and outside of classrooms. Dr. Hampton led the WRF until her retirement in 2006. Through her vision and leadership, many tens of thousands of dollars of support went to cultural institutions and organizations during her decade at the helm. In the mid-2000s, following the unexpected death of the Arkansas Symphony Orchestra’s executive director, Dr. Hampton served as acting executive director of the ASO while a national search could be conducted. She had long been a supporter of the ASO and other cultural institutions as a patron. During the Central High Integration 60th Anniversary, Dr. Hampton served as emcee of the Commemoration Ceremony. A few months later, she received one of the LRCH Tiger Foundation’s first Award of Excellence. She has also been honored by inclusion in the Arkansas Civil Rights Heritage Trail and the Arkansas Black Hall of Fame. She continues to be involved with Little Rock’s cultural life through her involvement in the Mount Holly Cemetery Association. She is a tireless advocate for this living museum of Little Rock’s past. Lottie Shackelford served as mayor of Little Rock from January 1987 until December 1988. She was Little Rock’s 68th mayor and the first woman to serve in that capacity. She was first appointed to the Little Rock Board of Directors in September 1978 to fill an unexpired term. She later was elected in her own right and served until December 1992. She was the first African American woman to ever serve on a governing body for the City of Little Rock. She later served two terms on the Little Rock Airport Commission. She also served as Vice Chairman of the Democratic National Committee from 1989 until 2014. She is the longest serving vice chair of the party. She has been a delegate to every Democratic National Convention since 1980. In recognition of all of her achievements, she has been included in the Arkansas Civil Rights Heritage Trail, the Arkansas Black Hall of Fame, and the Arkansas Women’s Hall of Fame. Atlanta-based artist Kevin Cole will serve as guest juror for the 61st Annual Delta Exhibition, on view May 3 through June 30 at the Arkansas Arts Center. The deadline for artists to submit work to be considered for the exhibition is February 13, 2019. Kevin Cole is a contemporary artist best known for sculptural works, paintings, and intentional use of color. An Arkansas native, Cole’s artwork has been featured in more than 475 national and international exhibitions, including the 42nd Annual Delta Exhibition (1999) at the Arkansas Arts Center. His work can be found in notable private and public collections around the country. Among his public commissions are a fifteen-story mural commissioned by the Coca-Cola Company for the 1996 Centennial Olympic Games in Atlanta and a twenty-foot high by fifty-five feet long sculpture commission at Hartsfield-Jackson International Airport, Atlanta. His recent sculpture, When My Scars are my Testimony, is featured in the 2019 Atlanta Biennial at the Atlanta Contemporary Art Center. 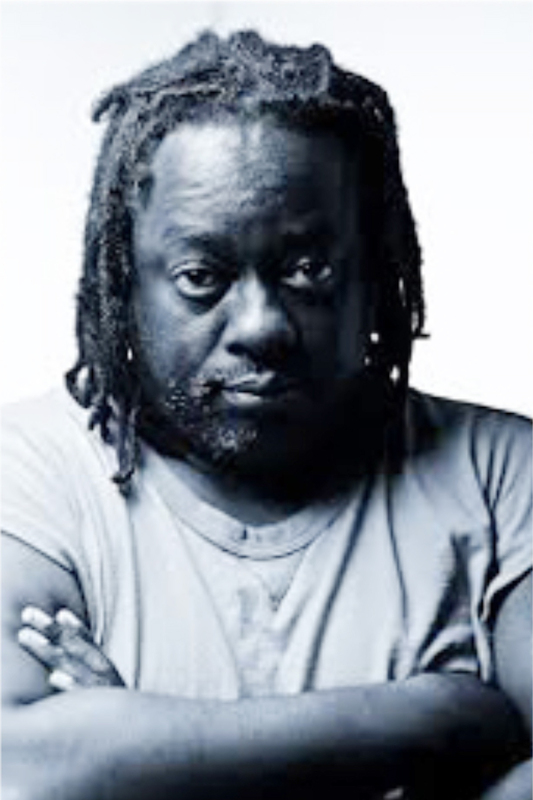 Cole has been a member of AfriCOBRA since 2003 and was inducted into the Arkansas Black Hall of Fame in 2018. Arthur Lee (Art) Porter Sr. was a pianist, composer, conductor, and music teacher. His musical interest spanned from jazz to classical and spirituals. Tonight at the CALS Ron Robinson Theatre, Arkansas Sounds is hosting a special presentation of rare video and audio clips and photographs, as well as a panel discussion celebrating the continued legacy and eighty-fifth birthday of Arkansas pianist, composer, conductor, and music teacher Art Porter Sr. This event is co-sponsored by AETN. Admission is free, but reservations are suggested. They can be made here. Born on February 8, 1934 in Little Rock, he began his music education at home. He played in church at age eight; played his first recital at twelve; and, by fourteen, hosted a half-hour classical music radio program on KLRA-AM. He earned a bachelor’s degree in music from Arkansas AM&N College (now UAPB) in May 1954. He began his teaching career at Mississippi Valley State University in 1954. When he was drafted into the Army, his musical talents were responsible for him being assigned as a chaplain’s assistant in New York. In the late 1950s he returned to Little Rock and taught at Horace Mann High School, Parkview High School and Philander Smith College. He also started playing piano jazz in the evenings. This led to the creation of the Art Porter Trio, which became THE music group for events. Many musicians who came to Arkansas to perform in Little Rock or Hot Springs would often stop by and join in with Porter as he played. From 1971 to 1981 he hosted The Minor Key musical showcase on AETN. His Porterhouse Cuts program was shown in 13 states. Often encouraged to tour, he instead chose to stay based in Arkansas. He did, from time time, perform at jazz or music festivals. He also performed classical piano with the Arkansas Symphony Orchestra, founded the Art Porter Singers, and created a music group featuring his four oldest children. Though Porter received many honors and awards, he found particular satisfaction in the “Art Porter Bill” enacted by the state legislature, which allowed minors to perform in clubs while under adult supervision. Porter’s children thus were able to perform with him throughout the state. Governor Bill Clinton, at the time a huge fan and friend of Porter, often joined Porter’s group on his saxophone. In January 1993, Porter and his son Art Porter, Jr., performed at festivities in Washington DC for the Presidential Inauguration of his friend Bill Clinton. In July 1993, he died of lung cancer. Today his legacy lives on in the Art Porter Music Education Fund as well as in the lives of the many musicians and fans he touched. He was posthumously inducted into the Arkansas Black Hall of Fame in 1994. Today marks the centennial of the birth of future Little Rock Mayor Charles Bussey. Born in Stamps on December 18, 1918, he would spend his adult life in Little Rock (after college and World War II service). Throughout his life he was a trailblazer. He was the first African American Sheriff’s Deputy in Pulaski County and expanded the Junior Deputy program into the African American community. In 1968 he became the first African American elected to the Little Rock City Board of Directors. He was not the first African American to run for the City Board, but he was the first to win a race. Mr. Bussey sought support not just from the African American community, but from all sectors of Little Rock. Apparently, while campaigning in 1968, he deliberately went into the Arkansas headquarters of segregationist presidential candidate George Wallace to see about leaving campaign literature. A hulking man with a broad smile, he shocked the young receptionist. He was undoubtedly the first (and probably last) African American to enter that campaign headquarters. He served from 1969-1977 and again from 1979 through 1991. In 1981 he was selected by his fellow City Directors to serve as Little Rock’s Mayor, which made him the first African American Mayor of Little Rock. He served as Assistant Mayor of Little Rock for a total of 8.5 years which is the longest of anyone in the City’s history. Throughout his lifetime Mayor Bussey championed youth outreach efforts. He also was active in the Arkansas Municipal League, National League of Cities, West Little Rock Rotary Club, Elks, Shriners and many other organizations. In 2006 he was posthumously inducted into the Arkansas Black Hall of Fame. The previous year, 20th Street in Little Rock was renamed in his honor. In 2015 he was included in the Arkansas Civil Rights Heritage Trail.